Did you know that date night movies aren’t merely an easy and affordable option when finances are tight and babysitters are busy? They also uniquely meet both a husband’s need for side-by-side bonding and a wife’s desire for face-to-face connection. 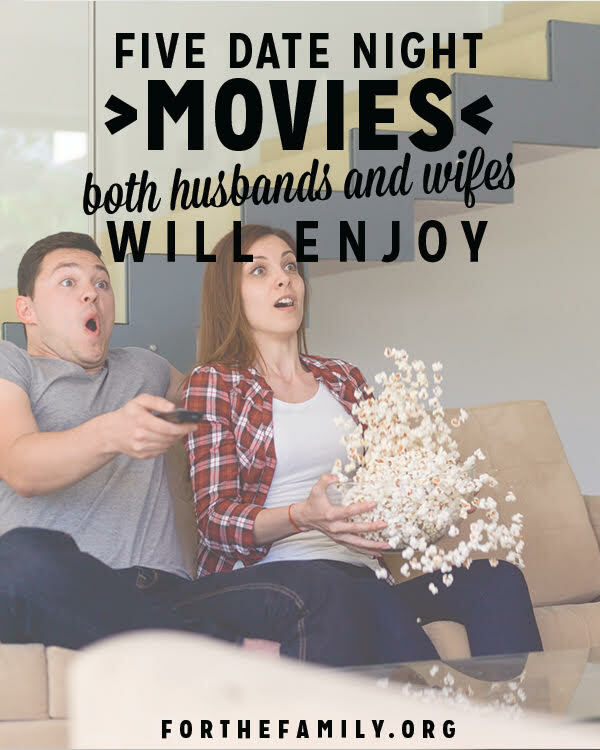 I explain how here, as well as give you practical ideas on how to mutually agree on date night movies and get the most out of them. Here’s the thing. If you’re anything like me, than sometimes you’re too tired to sit down with your spouse and systematically pick a film. Sometimes, you simply want someone else to pick one for you. No conflict. Nada bartering. Zilch, “I’ll give you one war movie for two rom-coms” sort of deals. If that’s the case for you today, I’m here to make your date night movie planning a little easier. Here are five suggestions for date night movies (in no particular order) to get you started. These are all films both my husband Ted and I not only enjoy, but also eagerly talk about afterward. Perhaps you and your spouse will like them too. Cary Grant and Audrey Hepburn play the leads in this 1963 film set in Paris. This mystery, reminiscent of an Alfred Hitchcock flick, encourages you and your spouse to done your detective hats and act as super sleuths together. Pixar films shouldn’t solely be watched with your kids. This 2004 animated movie is a great one for couples to watch together, after the kids are in bed. It centers on a family of super heroes forced to join a witness-protection program. 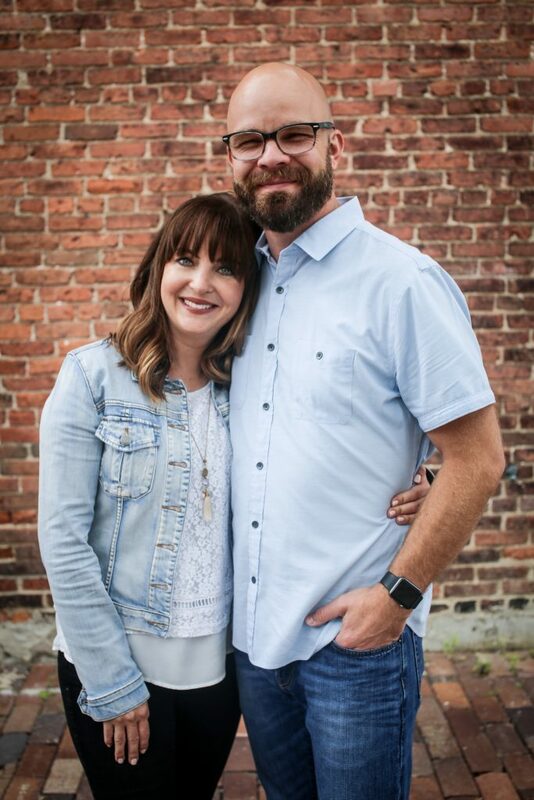 After you watch, you and your spouse will be challenged to discuss what characterizes support and teamwork in marriage. While a lot of men may cringe at the thought of a musical, La La Land is one musical husbands should watch with their wives. It will spark conversation on conflict resolution, walking through failure together, and how you can encourage one another’s dreams. You both may even walk away with a deeper appreciation for jazz. Wives, if you aren’t a fan of Marvel movies, this one from 2011 is worth watching with your husband. The story of an underdog turned super hero, Captain America will leave you discussing honor, chivalry, and what it means to stand up for what’s right. This 1942 classic stars Humphrey Bogart and Lauren Bacall. It’s a tale of intrigue and heartbreak. As I talk about in my upcoming book Braving Sorrow Together, this film reminds us that we all have the capacity to choose and finish well, even in the most difficult of circumstances. 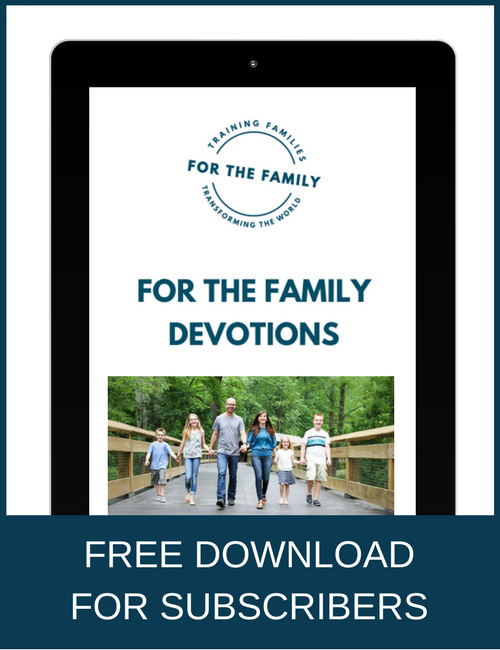 It’s sure to spark discussion with your spouse on fidelity and how to face temptation. What Date Night Movies Would You Recommend? Let’s all work together to turn this list of five date night movie suggestions into ten, twenty, or maybe even one hundred. Thanks for sharing movie ideas, Janet! I’ve seen a couple of those, but Ted and I will have to check out the others.